I never met Neil Armstrong. And, to be honest, I’m glad. I’ve shaken hands with his Apollo 11 crewmate Buzz Aldrin, and had a long conversation with him on the phone. I’ve eaten cookies with Apollo 12 moonwalker Alan Bean in his kitchen. Apollo 16’s John Young cussed at my ex-wife, kinda. Of the now eight living men who walked on the moon, I’ve met or been to talks by seven of them. And I was only two degrees of separation from Armstrong. My co-authors on Homesteading Space, Owen Garriott and Joe Kerwin, were contemporaries with him in the astronaut corps — Owen was even the astronaut on capcom duty in Mission Control while the Apollo 11 crew was napping on the lunar surface. It’s been a secret point of pride of mine that I’ve had Neil’s private e-mail address, from a message we both received, in my iPhone contacts for years; I would never use it and even now I wouldn’t share it, but it was kind of incredible to me that I had it. But I never met Neil. To be fair, it’s not like I was turning down invitations. But, at the same time, I’m pretty sure if I’d made a priority of it, I could have at least seen him speak. 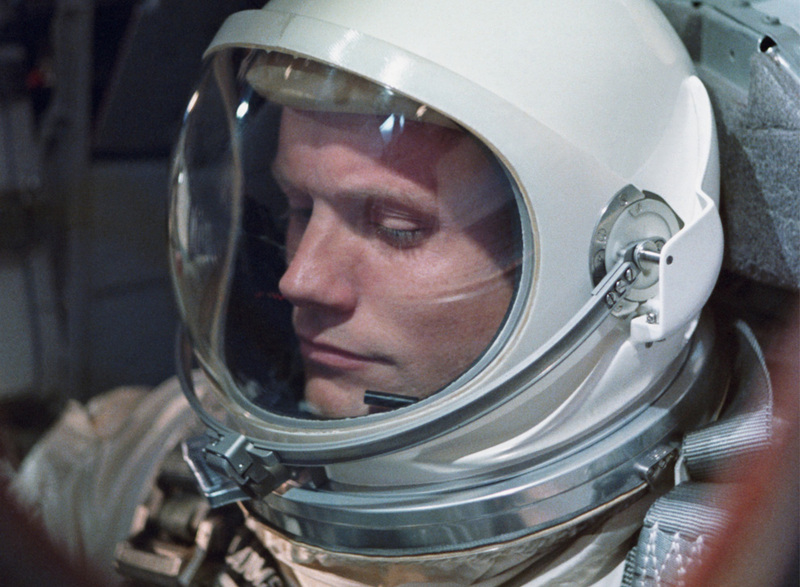 For all the public perception that Armstrong became a recluse, the truth is remained an active and involved advocate of spaceflight throughout his life. I had friends who were able to see him, but I never tried to go with them. My lack of desire to see or meet Armstrong was nothing against him. In fact, it was quite the opposite. Neil Armstrong is a legend. A historical figure. He was the one person alive during my lifetime whose name will endure alongside Columbus and Shakespeare and Lincoln and Caesar and Plato. And yet Neil Armstrong carried himself with dignity. Decades after the deed that put him in the history books, decades after his nation finished with him and gave him back to his life, he still conducted himself in a way fitting for his place in history. He’d have been the first to tell you that he was just a man, and, yet, it was the way he lived as a man that made him a worthy legend. I’ve been blessed to have had the opportunity to meet giants and heroes, astronauts and authors and musicians and politicans. And meeting them tarnished none of them. But it did make them a little smaller. To be sure, there’s nothing wrong with that. Spend any time with B.B. King, for example, and you’ll be amazed at how down-to-Earth he really is. It’s easy to imagine chatting with him at Target while buying groceries. Here’s a great secret in life — everybody’s human. And sometimes it can be nice to get to know the human side of a story. But Neil may have been the last larger-than-life legend I had left; a legend untarnished by having media or personal experience force it into reality. He was the last giant in my world. The last myth. I didn’t want to meet him, because I wasn’t sure if I was ready to live in a world without legends. And now, he’s gone. He no longer belongs to this age, but only to history. And I was blessed to have lived at a time to have shared with him one of the worlds he walked. I originally wrote this story for the NASAExplores.com web site eight years ago, for the 35th anniversary of Apollo 11. The site has since been taken down, so I’m republishing it here since it’s public domain. In nine years with the agency, this was one of my favorite stories I got to write. 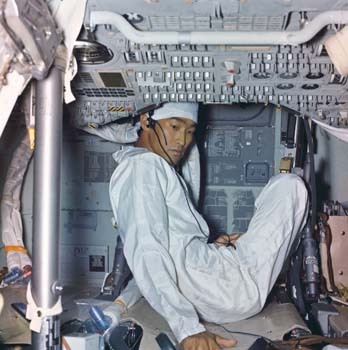 John Hirasaki inside the Apollo 11 Command Module in quarantine. It was possibly the biggest event of the century, and John Hirasaki was part of a captive audience for the story. As a 28-year-old NASA engineer in 1969, Hirasaki found himself sealed in a trailer with Neil Armstrong, Buzz Aldrin, and Mike Collins, just returned from the first lunar landing. When the Apollo 11 crew returned to Earth days after the July 20, 1969 Moon landing, they were immediately placed in a Mobile Quarantine Facility (MQF, in acronym-intensive NASA-speak) aboard the U.S.S. Hornet aircraft carrier, which recovered their spacecraft from the Pacific Ocean. In the MQF, the crew was transferred to the Lunar Receiving Laboratory (LRL) at Johnson Space Center (JSC) in Houston, where they spent the remainder of 21 days in isolation, to prevent the spread of any alien germs they may have encountered while walking on the Moon. Hirasaki, who had come to work for NASA only 3 years earlier, was one of two people placed in the MQF with the Apollo 11 crew when they landed. Hirasaki, 63, who today works as an system integrations engineer at Johnson Space Center, recently discussed his experiences with NASAexplores.com. For his first assignment, Hirasaki was placed in the Landing and Recovery Division at Johnson Space Center for the Gemini Program, which was then nearing its end. He was deployed to the northern Pacific Ocean on a Destroyer for the final Gemini mission to work on the craft as soon as it was lifted from the ocean if it were to encounter a contingency landing in that area. At the same time, NASA was beginning work on the Apollo program, and Hirasaki was tapped to begin planning the landing recovery measures for spacecraft returning from the Moon. His duties included working on the post-landing deactivation procedures for the Apollo Reaction Control System, the smaller thrusters used to maneuver the spacecraft, and the qualification of the Apollo Post-landing Life Support Systems for recovered spacecraft. He developed tests to make sure that, if necessary, the Apollo capsule could support its crew on the open seas for 48 hours while waiting for recovery workers. To simulate worst case post-landing conditions, test subjects spent 2 days in the Apollo capsule in a wave tank at Johnson Space Center while under simulated solar radiation and high humidity conditions controlled by raw steam pumped into the room. “Hot out of college, you’re dumped in the program, and told, ‘Hey, go write up the test procedures, run the test program, write the reports, take care of everything,'” Hirasaki said. “So, I thought it was a very interesting training ground for young engineers. Because of his work with landing recovery procedures on the Apollo spacecraft, Hirasaki was tapped for qualification tests on the Mobile Quarantine Facility. The MQF, essentially a highly modified trailer without wheels, was put through trials on the stern of a destroyer in the Atlantic, and later on an aircraft carrier during one of the pre-lunar-landing Apollo missions. In other tests, the facility was placed in an altitude chamber to simulate rapid decompression (which would have broken quarantine), and microbes were introduced to its interior to make sure it would prevent the spread of pathogens. In the wake of the Apollo I fire, less than a year after Hirasaki began to work for NASA, modifications were made to eliminate flammable materials in the potentially oxygen-rich environment of the MQF. Since the MQF was intended to be transported by aircraft, it had its own oxygen supply system in the event that the aircraft experienced a loss of cabin pressure. Finally, as the launch date for Apollo 11 neared, a volunteer was needed to serve in the MQF after the mission to perform landing recovery tasks on the Command Module, Columbia. After all his training, hard work, and preparation, Hirasaki’s selection for the job came down to luck. While he had a little concern about the possibility of Moon germs, Hirasaki believed that the opportunity was well worth the risk. For Hirasaki, though, the chance was too good to pass up. Though Hirasaki got married about half a year before the Apollo 11 mission, he had already volunteered for the quarantine assignment, so his new wife knew that possible exposure to lunar microbes was just part of the package when she married him. However, he said, the publication around that time of Michael Crichton’s The Andromeda Strain, about the spread of an epidemic from space, did little to make her feel better about it. While Armstrong and Aldrin were walking on the Moon, Hirasaki and Bill Carpentier, a NASA physician, were placed in the MQF, to prevent the possibility that they would contract an illness before the crew returned. 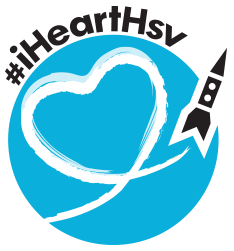 On July 24, the Apollo 11 crew landed, and Hirasaki’s decision to take the risk of volunteering paid off. When asked how the Apollo 11 crew reacted upon their return to earth, Hirasaki responded, “It was as if the crew were saying, ‘Hey, we just got back from this just fabulous trip that nobody’s ever done,’ and they wanted to tell everybody about it, because it was so interesting and exciting,” he said. “They reminded me of three schoolmates who had gone off on a trip where none of their classmates had ever gone, saw all these neat sights, had just gotten back home, and were trying to tell you about the things they saw and the things they did. “And Doc (Carpentier) and I had a front row seat,” he said. When the astronauts arrived on the U.S.S. Hornet and were placed in quarantine, Hirasaki’s first duty was to the Columbia command module. A tunnel was extended from the MQF to the spacecraft, allowing the engineer to work in its quarantined interior. Some may wonder why all the quarantine procedures were necessary, since the command module hatch was opened to let the crew out when they landed. Surely, if there had been any lunar microbes inside, they would have escaped then into the open sea? As with so much else about the mission, the answer deals with risk management. “That’s true,” Hirasaki said. “It would spoil the whole thing if the pathogen could have been airborne transmitted. The reason they did that is, there is a limit of what you can do, and what risks you take. Instead, a quarantine procedure was developed that would allow the safe recovery of the crew, and would prevent spread of a pathogen that required direct biological contact. “So, once again, it’s a series of trade-offs,” he said. Among Hirasaki’s Command Module duties were the removal of the film with the pictures the crew had taken on the Moon, and the true prize of the Apollo 11 mission—the Moon rocks. These treasures were sealed up and passed through a liquid submersion decontamination lock and sent by courier aircraft launched from the USS Hornet to scientists in Houston who were eagerly awaiting them. In addition to his engineering duties, Hirasaki was tasked with other responsibilities to the new national heroes trapped with him. “I was chief cook and bottle washer,” he said. “We had what you would nowdays call TV dinners. In fact, there was a device aboard the Mobile Quarantine Facility I hadn’t seen before, called an Amana Radar Range. “See, in the ’60s, there weren’t a lot of microwaves around, so we were checking those out. You didn’t want an open flame, obviously. So we had radar ranges aboard there. “It was interesting because JSC had prepared the meals,” he said. “And, during the sea trials that we had originally on the destroyer, we found out that the meals that were prepared were way too rich. In a sea environment, you don’t really want highly spiced seasoned food. It just doesn’t go along with living aboard ship. “But it was much better than what the Apollo crew had (in space), the freeze-dried food,” he said. The MQF was carried aboard the Hornet to Pearl Harbor, where it was loaded on a C-141 cargo plane, which flew it to Houston. From there, they were transferred to the Lunar Receiving Laboratory, where they spent another 2 weeks under quarantine. Additional NASA staff lived in the LRL, and even more joined later. Asked to recall the most memorable experiences with the Apollo 11 crew in the LRL, Hirasaki hesitated. “That’s a long time ago,” he said. “And, it was all interesting; it was all very exciting. “It’s sort of hard to imagine what it was like to have been a participant in a mission of that significance. You had an extreme sense of accomplishment. I think everybody had an extreme sense of accomplishment of having pulled off this mission. And it took everybody doing their particular part. That frustration was to govern Hirasaki’s career arc over the following decades. He stayed with NASA through the final Apollo landing, but then left the agency not long afterwards in 1973. After leaving NASA, Hirasaki spent 14 years in the motorcycle business. During that time, the space industry once again came knocking. A former boss enlisted his help in a private company staffed with several ex-NASA employees. “We launched a non-government-funded rocket into space in a sub-orbital flight over the Gulf of Mexico, just to show it could be done as a venture capital activity,” he said. Finally, in 1986, he returned to NASA full-time, working on a crew return vehicle for Space Station Freedom. Eventually, the space station became an international project, and Russian Soyuz vehicles were picked to transport crews to and from the Station and to serve as an emergency crew return vehicle. Today, Hirasaki works on systems integration for Russian and European spacecraft, making sure the Soyuz, the Progress supply ship, and the European Automated Transfer Vehicle will work properly with U.S. systems on the International Space Station. “As long as the work is interesting, I’ll do it,” he said. While the Station support vehicle work is interesting enough for now, Hirasaki hopes things will become even more interesting, and that he’ll once again see men returning from the trip Armstrong, Aldrin, and Collins took 35 years ago. Today, though, few people still ask Hirasaki about his role in the history-making event. I may have been just been saved from myself. Neil Armstrong is in town today. You have to have an invitation to see him. I wasn’t invited. And, really, that’s probably a good thing. I’ve long said I don’t want to meet Neil Armstrong. But the truth is, if I’d been invited, I would have been tempted to go. Let me explain — That’s nothing against Neil. In fact, quite the opposite. I respect Neil a lot. And that’s why I wouldn’t want to meet him. Neil Armstrong is a legend. A historical figure. He’s the one person alive today whose name will endure alongside Columbus and Shakespeare and Lincoln and Caesar and Plato. We live in a time when our legends are all too human. Too many of the giants of their age engage too readily in their flaws, and the pervasive media makes that too well known. And yet Neil Armstrong, likely the most historic man alive, carries himself with dignity. Decades after the deed that put him in the history books, decades after his nation finished with him and gave him back to his life, he still conducts himself in a way fitting for his place in history. He’d be the first to tell you that he’s just a man, and, yet, it’s the way he lives as a man that makes him a worthy legend. I’ve had the opportunity to meet giants and heroes, from B.B. King to Alan Bean to Lord British. And meeting them tarnished none of them. But it did make them a little smaller. Not that there’s anything wrong with that. Spend any time with B.B. King, and you’ll be amazed at how down-to-Earth he is. It’s easy to imagine chatting with him at Target while buying groceries. But Neil may be the last larger-than-life legend I have left. The last giant left in my world. The last myth. And I’m not sure if I’m yet ready to live in a world without legends.